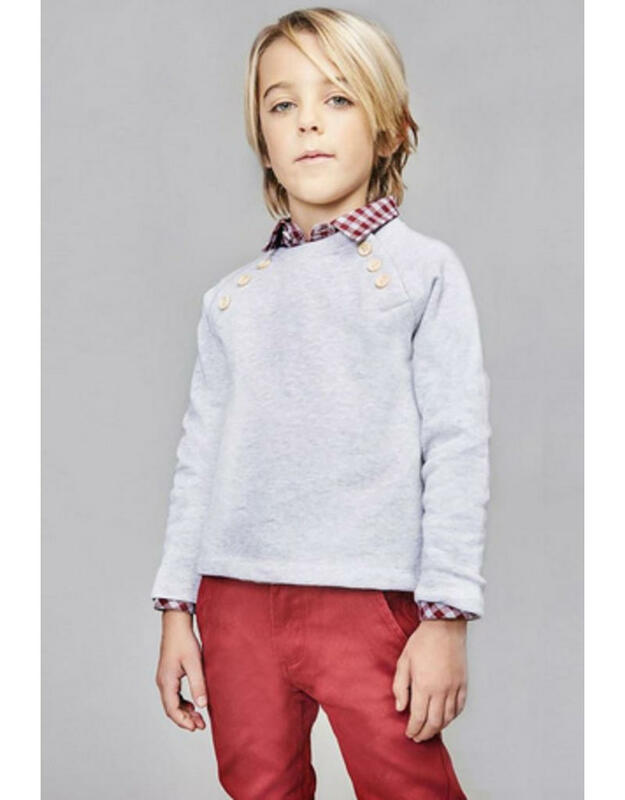 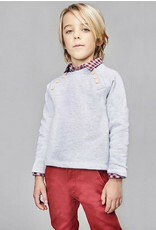 Boys straight fit garnet chinos by Dadati. 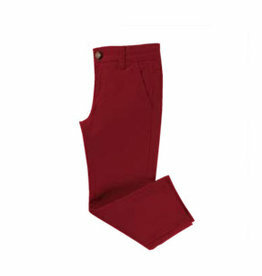 They have front and back pockets, belt loops, and a single button and zip fastening. 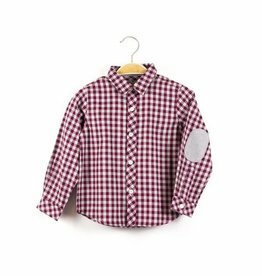 Boys cotton red and grey gingham shirt by Dadati. 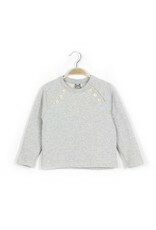 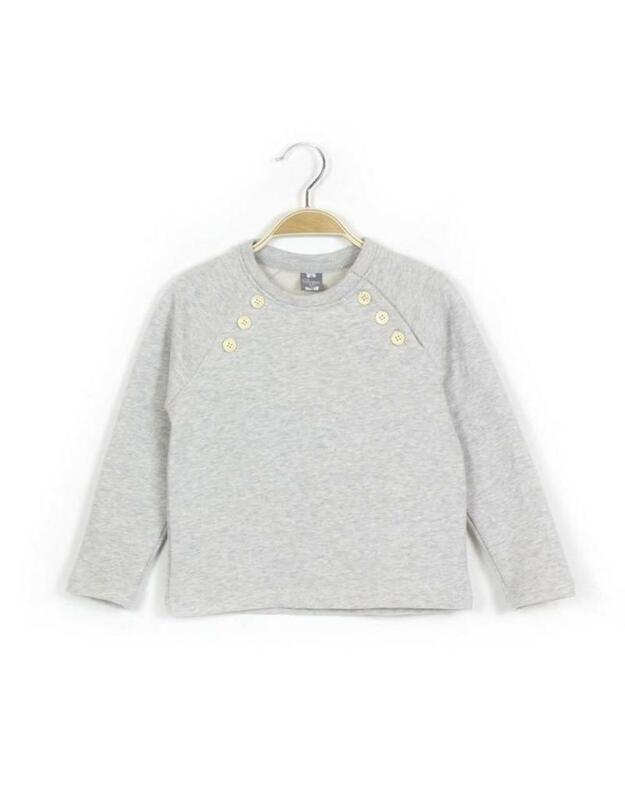 It has grey elbow patches, a classic collar and white buttons to fasten.